Is your cart or carriage ready for the show season? The Carriage Service Center at Sargent offers full service for all modern horse drawn vehicles to ensure they will stand up to the rigors of the season. Thomas Smith has been involved in competitive carriage events since 1996, primarily as a navigator, groom, and mechanic for his wife Debra. 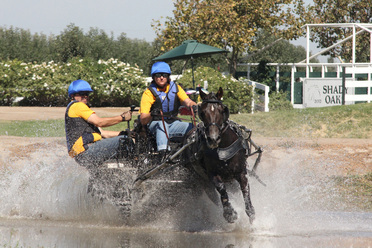 As a navigator and groom, in combined driving, Thomas has competed in several FEI level events and has navigated for some of the best drivers in the United States including; Jose Hernandez, Diane Kastama, Leslie Berndl. Earlier this year, he helped John Levi and his Welsh Cob, Sky, win the prestigious Live Oak International and the Florida Triple Crown in his division. Thomas offers navigators clinics across the Western Untied States to help drivers and navigators improve their skills and performance in the Combined Driving Events. Seeing a need to help carriage owners in the care and maintenance of their vehicles, Thomas opened the Carriage Service Center at Sargent Equestrian Center in 2012. 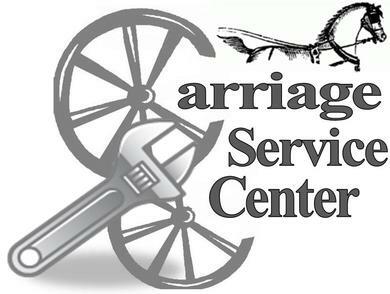 This Center offers offers full service for the modern horse drawn vehicle, specializing in preventive maintenance to avoid equipment failures. The Center also repairs damaged vehicles and helps owners bring deffered maintenance items up to date. The Carriage Service Center is also the only factory approved parts and service center for Kutzman Carriages in the United States.